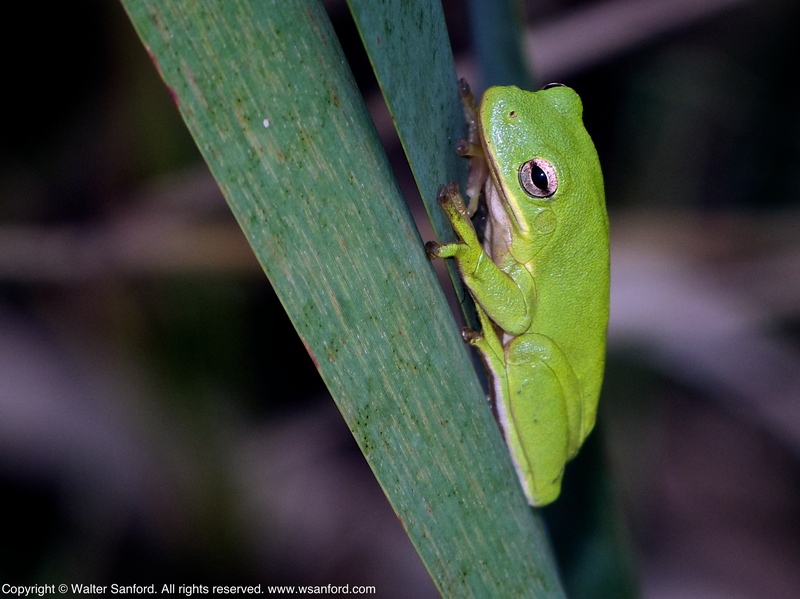 The preceding photo shows a Green Treefrog (Hyla cinerea) spotted during a photowalk through Huntley Meadows Park on 04 October 2013. 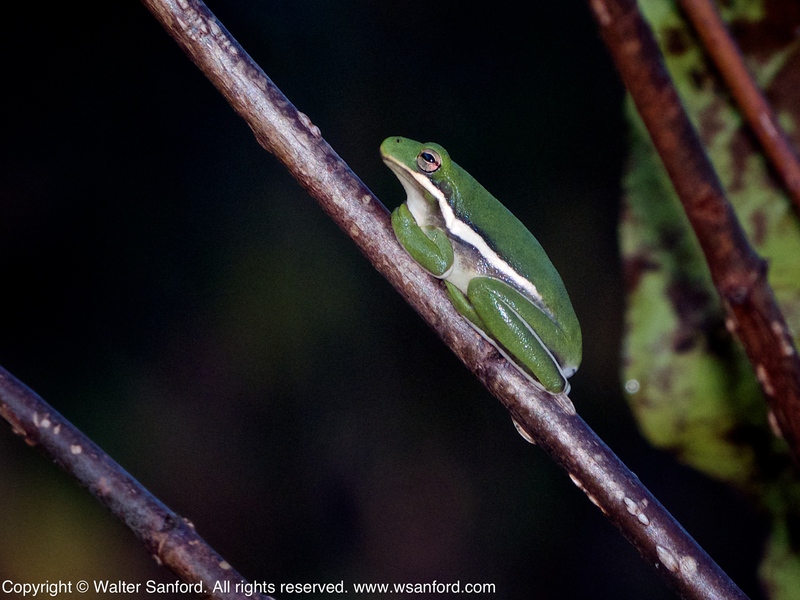 Contrast the appearance of this specimen with the Green Treefrog featured in my last post: This individual has a darker green body and the cream stripes along its sides and legs are outlined in blackish-gray. 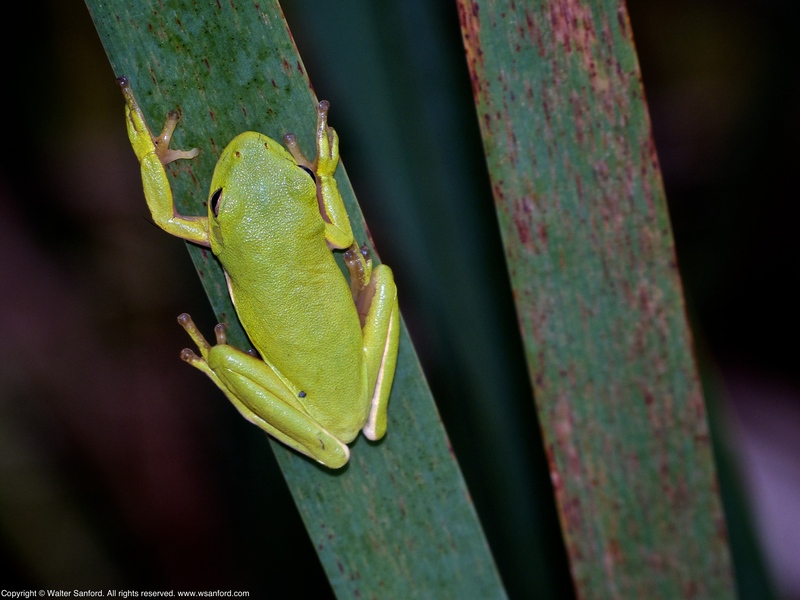 The following photos show a Green Treefrog (Hyla cinerea) spotted during a photowalk through Huntley Meadows Park on 16 October 2013. 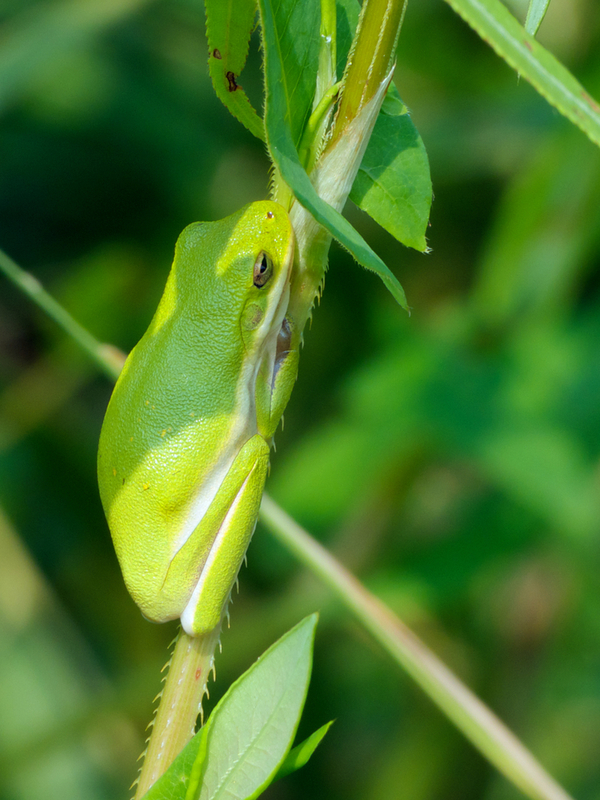 I saw the treefrog while I was searching for dragonflies. 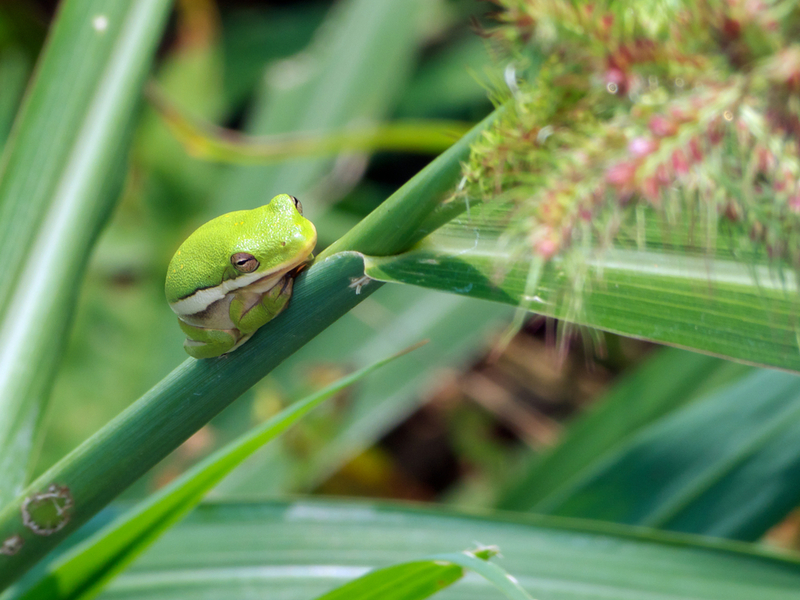 The little frog seemed to be intent on crawling into a crack in the boardwalk, as shown in the following gallery. 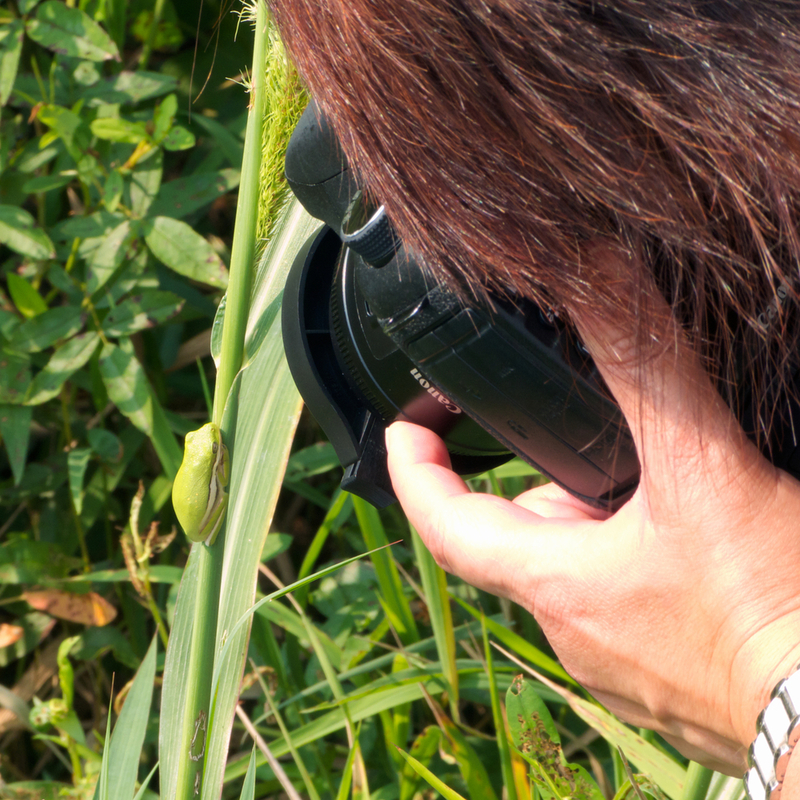 I watched with amusement until I noticed a large group of people walking toward our location, so I nudged the frog in the direction of the cattails alongside the boardwalk. 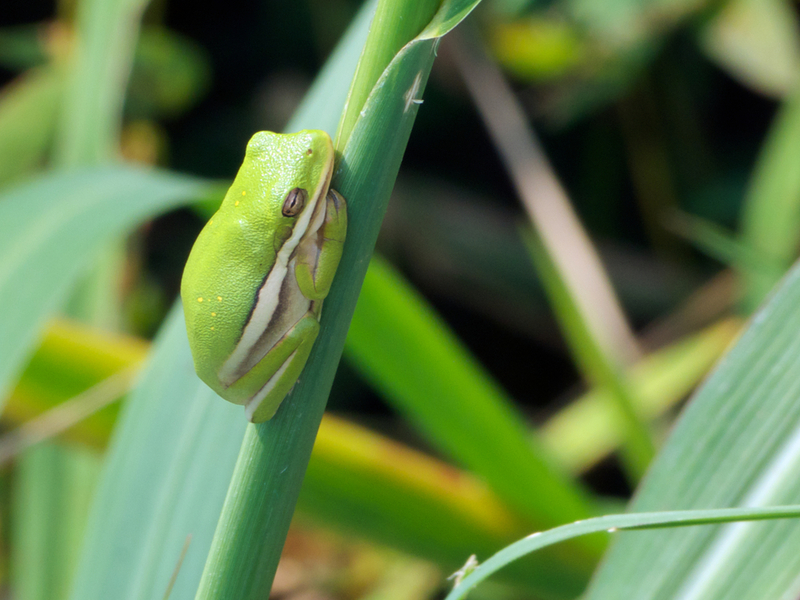 The frog resisted my prodding at first; suddenly it jumped at least six feet onto the rushes! 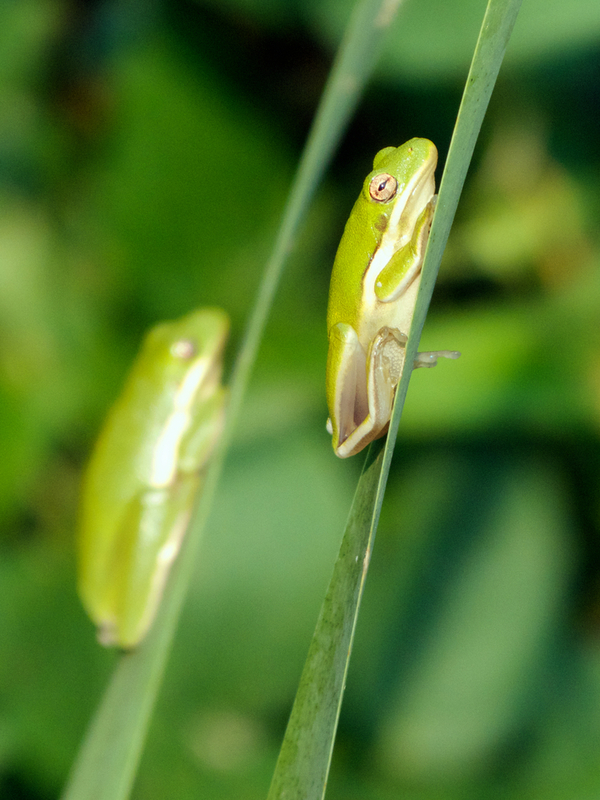 I was happy to show the frog to the people after it had moved to a safer spot (shown above). 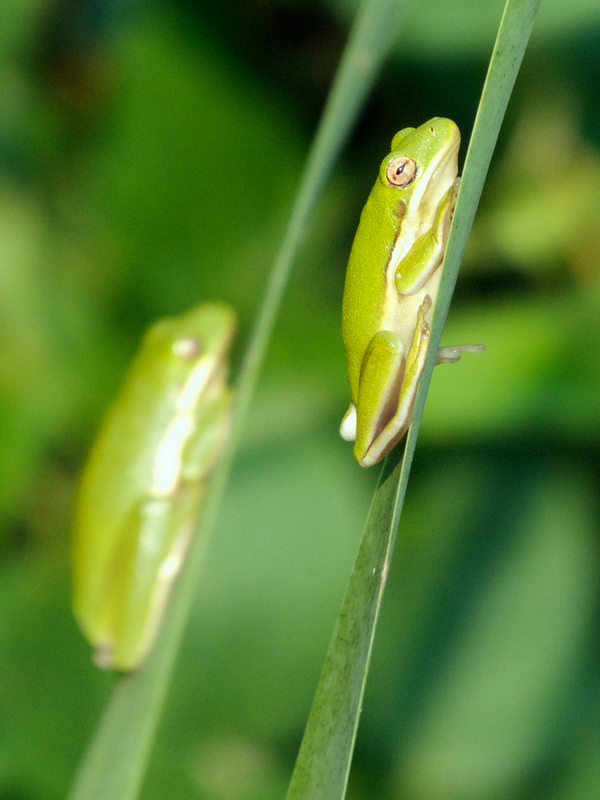 Several Green Treefrogs (Hyla cinerea) spotted along the boardwalk that goes through the central wetland area at Huntley Meadows Park. 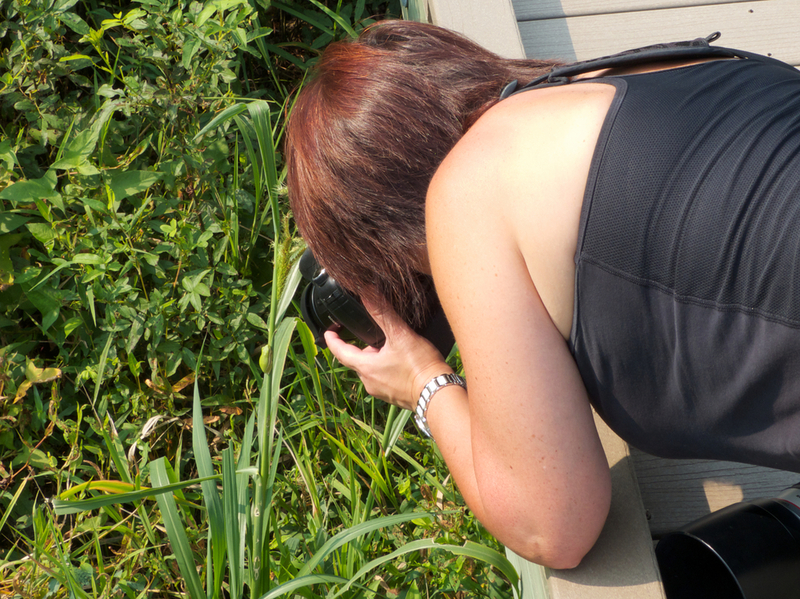 Photos 6-7 show “Louisa,” a good friend and fellow Project Noah spotter, photographing the treefrog in Photos 1-2.